A brainchild of Mayor Glenn Baricuatro, the Cebu Technological University (CTU) Pinamungajan Campus broke ground on March 2014, or seven months after he assumed office. Believing that the progress of a town should include a well-informed and educated population, this was the main project that he promised during his campaign, and that he was able to complete in less than a year. He had sought the help of CTU in 2013, and right away the Municipal Government of Pinamungajan and the CTU immediately signed a memorandum of agreement for the project. The CTU takes care of providing teachers and handles the administrative aspect in running the school, while the municipal government tapped private donors to help in building the classrooms on a six-hectare lot in barangay Pandacan. 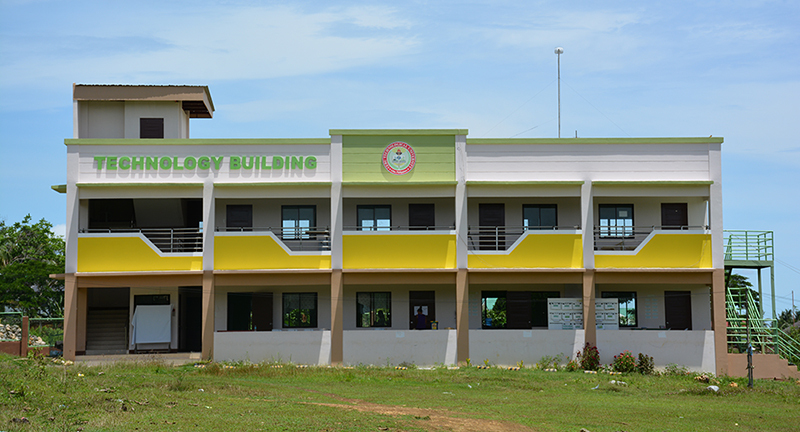 June 2014 was the first time that the CTU Pinamungajan Campus opened its doors to pioneering students. The journey was not easy. The school started with 12 classrooms which were a product of Mayor Glenn Baricuatro’s appeal to private individuals and private firms to show a sense of community by giving donations. The Municipal Government’s perseverance, hard work and dedication resulted in what is now a dream come true for many Pinamungajanon families: a well-equipped avenue to learn knowledge and skills and get a degree without having to go to Cebu City. Four years later, the school now stands proud with a total of three buildings to house the growing number of students, including an expanded course offering for technical and vocational trainings. The school is ever growing and expanding, a testament to a leadership that defied naysayers inorder to push for the development of Pinamungajan. On April 27, 2018, the CTU Pinamungajan Campus held the historic milestone of seeing its first graduates walk on stage for the ceremony to confer them with bachelor’s degree. Also, on July 2018, hundreds of graduates were given certificates for completing vocational courses.